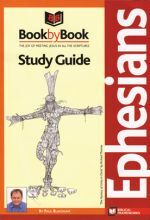 The book of Ephesians is the most thorough and wide-ranging account of what it means to be the Church, in the New Testament. The Ephesian Christians lived in the shadow of the massive temple to Artemis, as we read in Acts 19. That 'wonder of the ancient world' must have dominated not only the skyline but also the thinking of the city. Ephesus was a city full of spiritual darkness and occult power. The Church was the oasis of sanity in that pagan chaos and confusion, the place where the truth of Jesus was lived and taught. The church caused a profound social revolution. Paul's letter to the Ephesians will take us down into the heart of our lives together in the local church. Do we provoke crises or revolutions in our own towns and cities because of the way we live together? Why is it so important to be part of a local church? How is the local church the answer to the social problems of the world? Why is it the proper context for our marriages, families and careers? Why is the church the very center of the universe? International Speaker and Author Joni Eareckson Tada is the founder of Joni and Friends, an organization which exists to communicate the gospel and equip Christ-honoring churches worldwide to minister to people affected by disability physically, emotionally and spiritually. 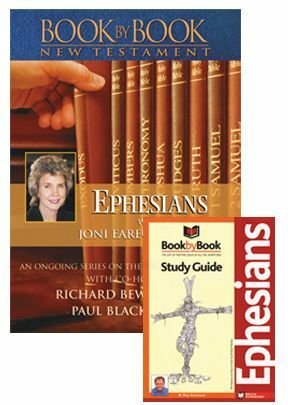 The book of Ephesians is the most thorough and wide-ranging account of what it means to be the Church, in the New Testament. Paul's letter to the Ephesians will take us down into the heart of our lives together in the local Church. Do we provoke crises or revolutions in our own towns and cities because of the way we live together? Why is so important to be part of a local Church? How is the local Church the answer to the social problems of the world? Why is it the proper context for our marriages, families and careers? Why is the Church the the centre of the universe? The Bible will take you through the history of the universe from beginning to end but it can also speak clearly to you about your life: Why are you here? How should you live? These Study Guides are intended to help you read and understand the Bible. In the Book by Book Study Guides and accompanying DVD, we want to help you experience the joy of meeting Jesus in all the Scriptures. The first books in the Bible come from over 1500 years before the birth of Jesus, yet you will discover His birth, life, death and resurrection prophesied there. Jesus himself said that the whole Bible was about him (John 5:39).